The 2013 ERM Symposium goes back to Chicago this year after a side trip to DC for 2012. This is the 11th year for the premier program for financial risk managers. April 23 and 24th. Has the risk profession become a spectator sport? One in which we believe we are being proactive, yet not necessarily in the right areas. For the most significant headlines during the past year, how was the risk management function involved? Since the financial crisis, has there been genuine learning and changes to how risk management functions operate? 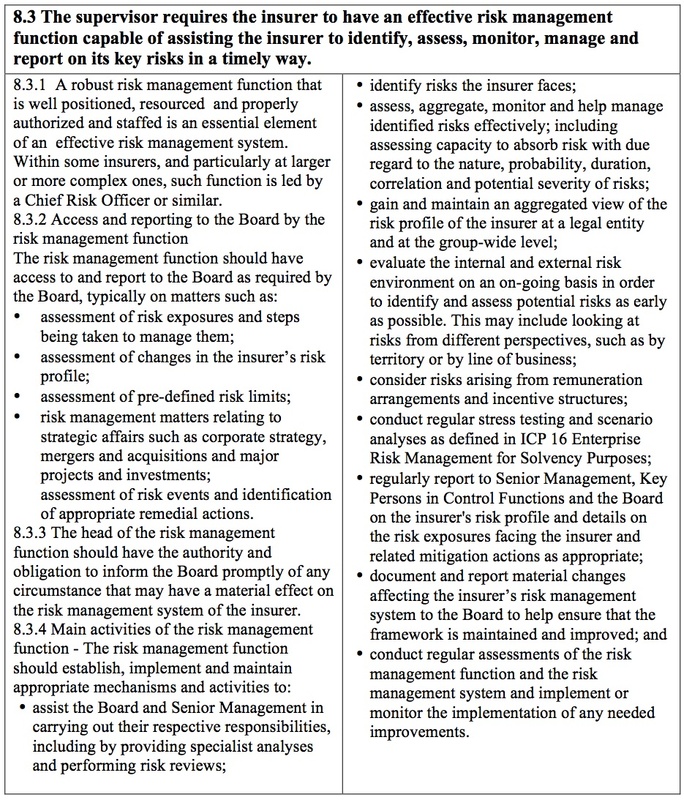 What are the lessons that have been learned and how are they shaping risk management today? If not, why? Does risk management have a seat at the table, at the correct table? Are risk managers as empowered as they should be? Is risk management asking the right questions? Is risk management as involved in decision making and value creation as it should be, at inception of ideas and during follow through? Sheila C. Bair served as the 19th chairman of the Federal Deposit Insurance Corporation for a five-year term, from June 2006 through July 2011. Bair has an extensive background in banking and finance in a career that has taken her from Capitol Hill to academia to the highest levels of government. Before joining the FDIC in 2006, she was the dean’s professor of financial regulatory policy for the Isenberg School of Management at the University of Massachusetts-Amherst since 2002. The ERM Symposium and seminars bring together ERM knowledge from the insurance, energy and financial sectors. Now in its 11th year, this premier global conference on ERM will offer: sessions featuring top risk management experts; seminars on hot ERM issues; ERM research from leading universities; exhibitors demonstrating their ERM services. This program has been developed jointly by the Casualty Actuarial Society (CAS), the Professional Risk management International Association (PRMIA) and the Society of Actuaries (SOA). Regulatory Reform: Responding to Complexity with Complexity – Andrew Haldane, executive director of Financial Stability at the Bank of England, recently made a speech at the Federal Reserve Bank of Kansas City’s Jackson Hole Economic Policy Symposium titled “The Dog and the Frisbee” warning that the growing complexity of markets and banks cannot be controlled with increasingly complex regulations. In fact, by attempting to solve the problem of complexity with additional complexity created by increased regulation, we may be missing the mark—perhaps simpler metrics and human judgment may be superior. Furthermore, in attempting to solve a complex problem with additional complexity, we may not have clearly defined or understand the problem. How does ERM fit into the solutions arsenal? Are there avenues left unexplored? Is ERM adding or minimizing complexity? Actuarial Professional Risk Management – The new actuarial standards for Risk Evaluation and Risk Treatment bring new help and new issues to actuaries practicing in the ERM field. For new entrants, the standards are good guidelines for preparing comprehensive analyses and reports to management. For more experienced practitioners, the standards lay out expectations for a product worthy of the highly-qualified actuary. However, meeting the standards’ expectations is not easy. This session focuses on clarifying key aspects of the standards. Enterprise Risk Management in Financial Intermediation – This session provides a framework for thinking about the rapidly evolving, some would say amorphous, subject of ERM, especially as applied at financial institutions and develops seven principles of ERM and considers their (mis)application in a variety of organizational settings. The takeaways are both foundational and practical. Please join us for some ERM fun and excitement. The International Association of Insurance Supervisors adopted the following in late 2011 as a part of ICP 8.